The Adjustable Shoemount2 is a sturdy metal bracket that enables use of a flash with a standard shoemount design. 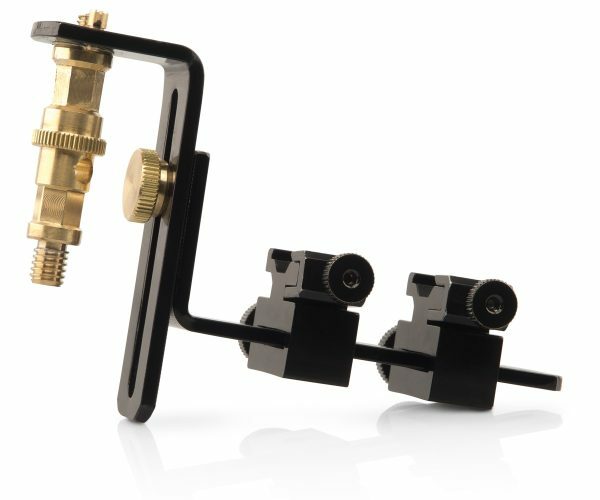 This unit comes with a heavy-duty reversible 5/8” brass stud with a screw on each end (3/8” and ¼”-20) that expands the connectivity options of the bracket to use our heavier duty metal OctoConnector with all of our soft boxes. 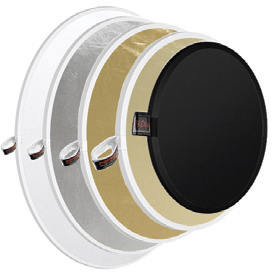 The 3/8” stud is required with the OctoConnector when used with rectangular soft boxes in order that the soft boxes can be mounted parallel to the floor. Our design utilizes a brass stud at the point of best balance when attached to a swivel at the top of a LiteStand. Also included is a second shoe mount, which can accommodate a radio receiver.